Once upon a time I was told how valuable and slow growing these plants are. I don't know whether that was true or not - the value part. 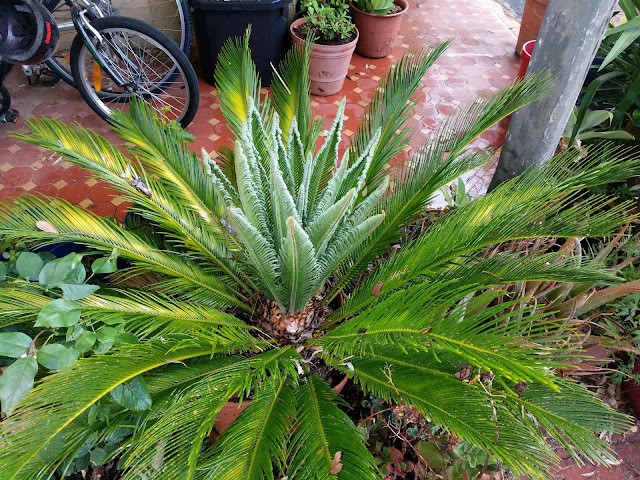 I certainly know these cycads are slow growing though. I've had this one for about 16 years but it is coming into some sort of majesty now. It had three leaves on it and was in a 6 inch pot when I bought it. I love the fresh growth each year, and this is the best so far. What's wrong with gluten free?